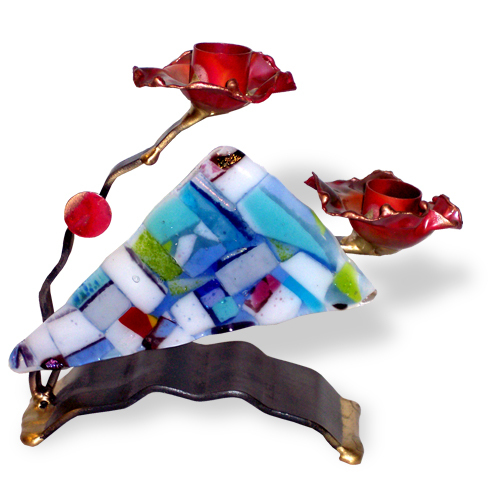 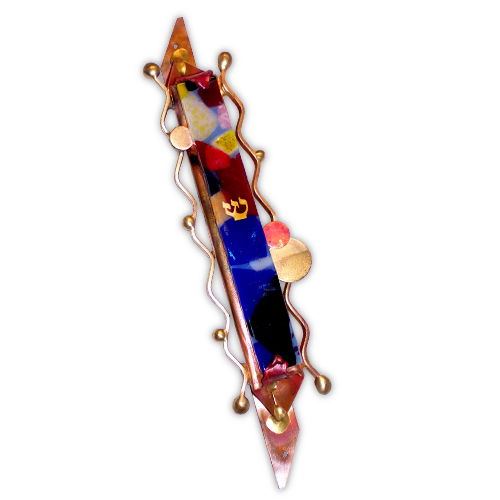 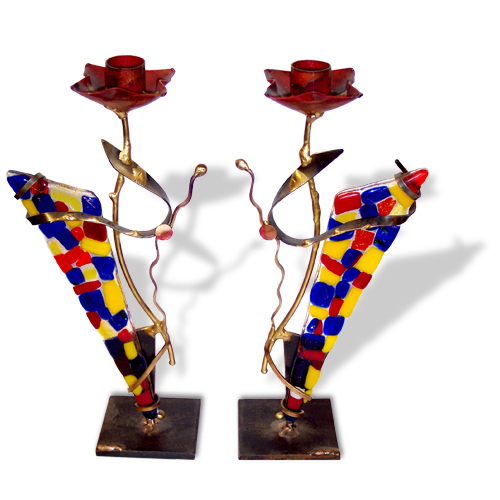 You can make custom versions of a wide selection of Gary Rosenthal sculptures. 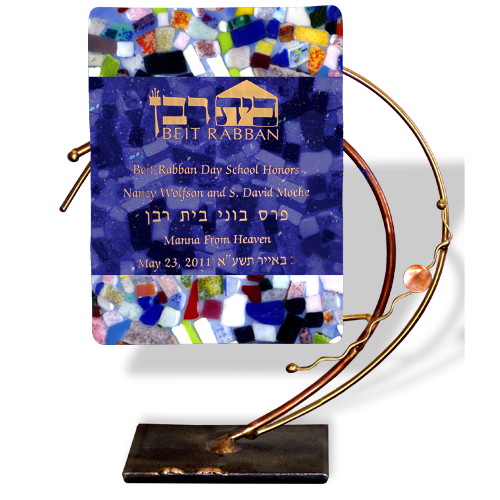 As part of the Hiddur Mitzvah Project, groups making a minimum of $675 worth of items will be given a 25% discount off the suggested retail price. 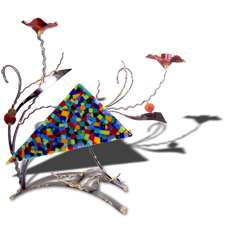 Click an image for details. 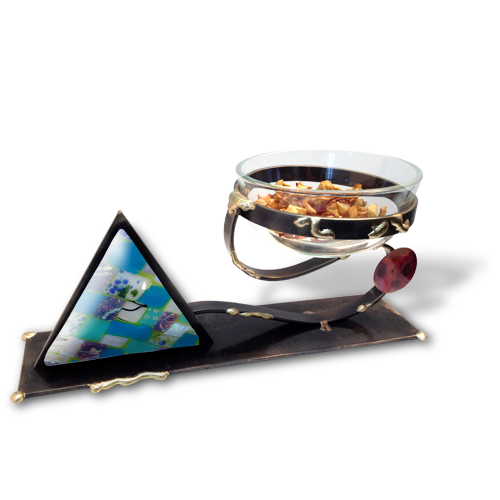 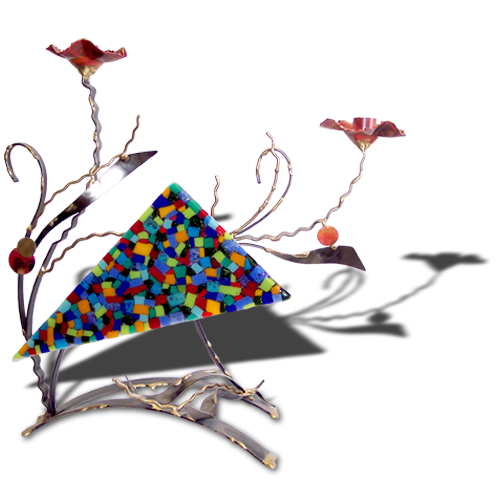 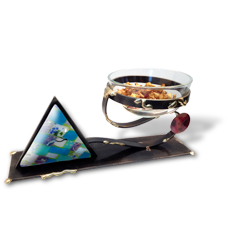 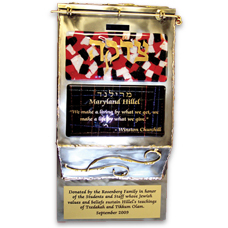 In addition to our standard products, you may incorporate a custom piece into your program as well. 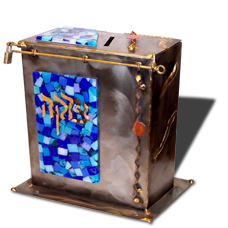 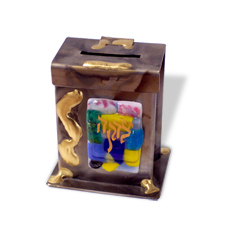 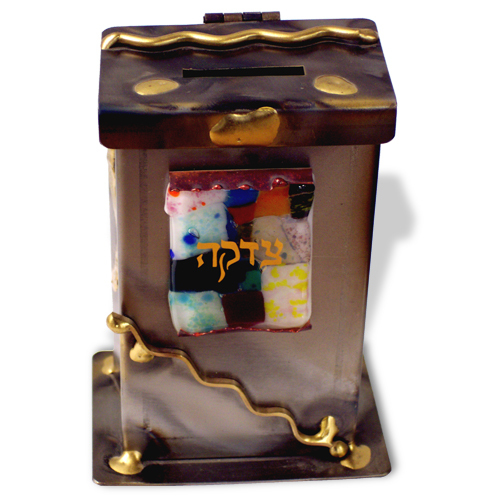 This four foot tall community Tzedakah box on the left was made for the 60th anniversary of the Princeton Jewish Center in New Jersey. 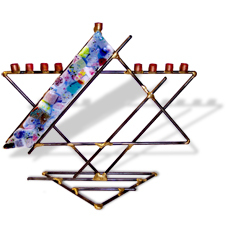 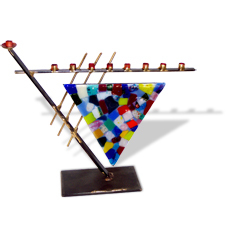 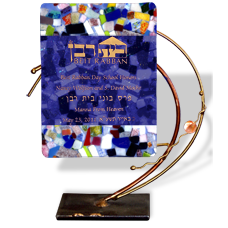 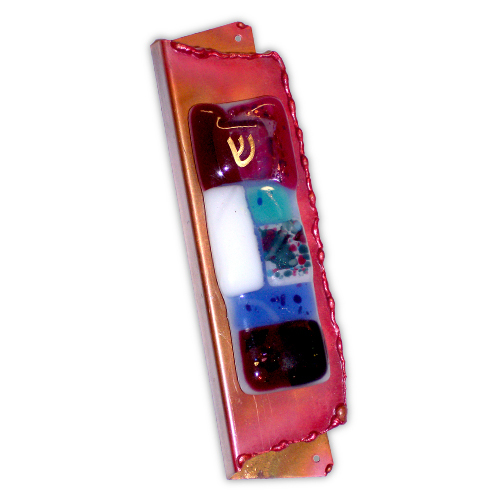 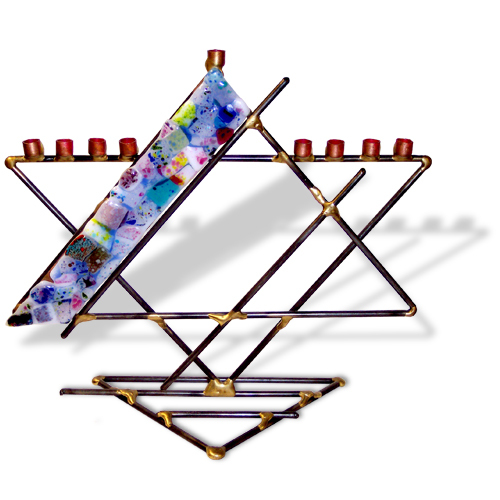 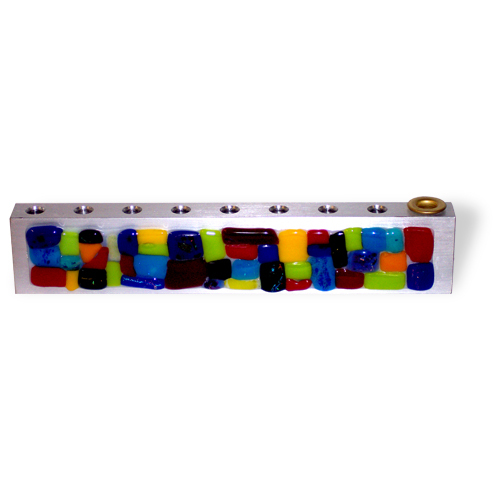 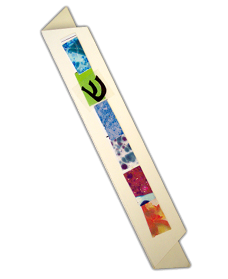 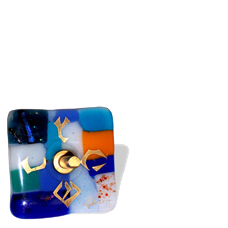 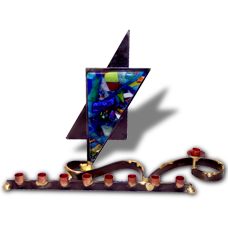 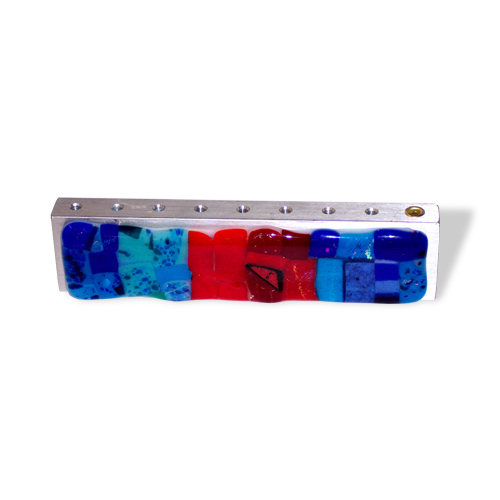 The glass panels were created by the students participating in the Hiddur Mitzvah Project at their center. The one on the right is now mounted on the wall in the University of Maryland Hillel building. 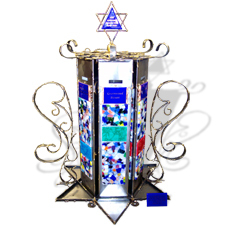 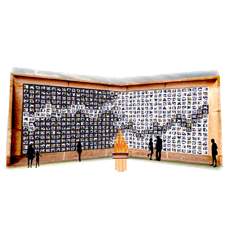 Contact us if you want to commission a large Hiddur Mitzvah sculpture, to discuss design and cost. 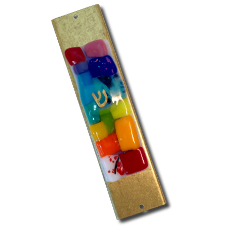 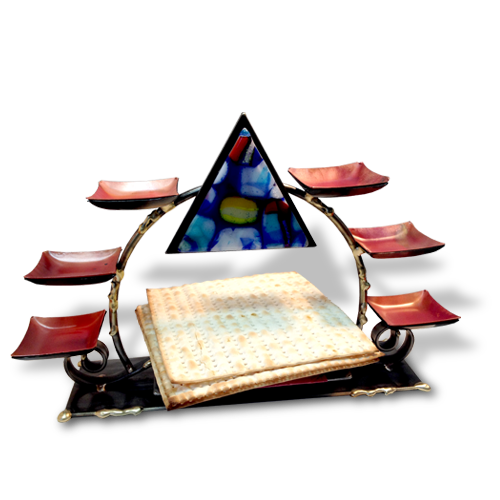 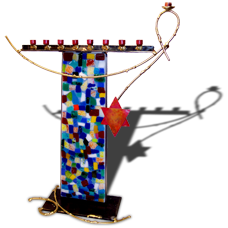 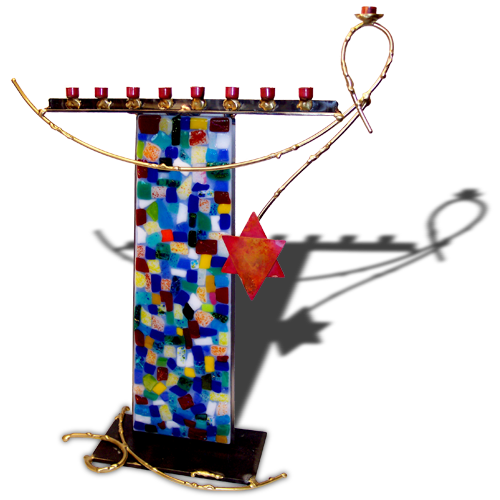 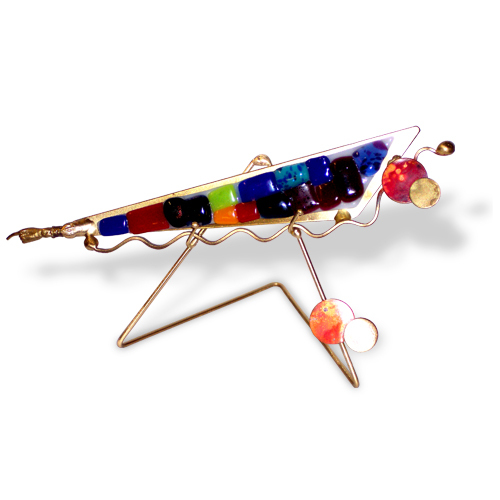 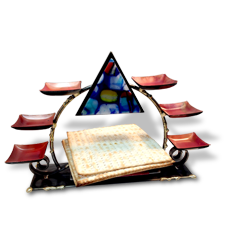 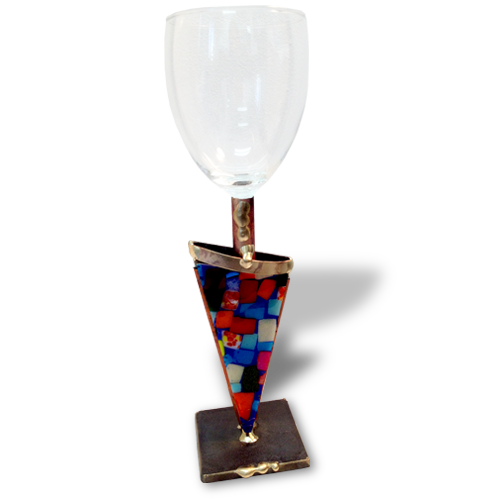 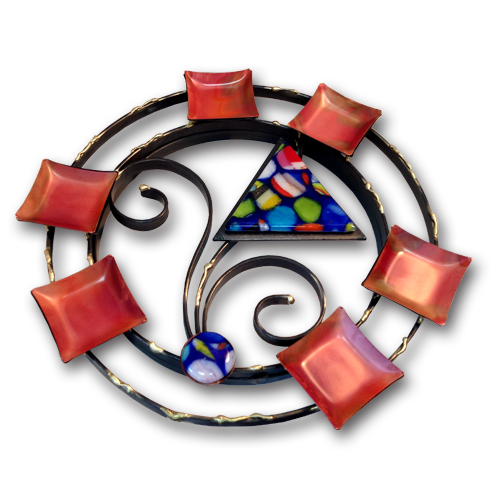 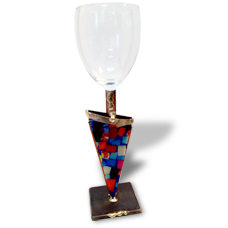 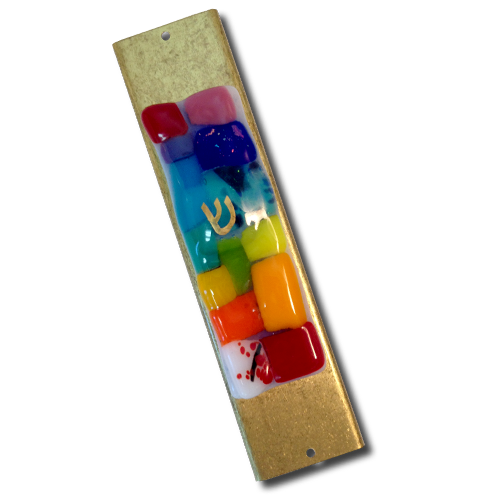 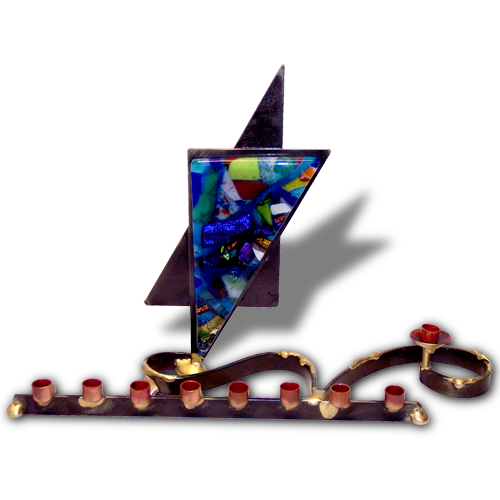 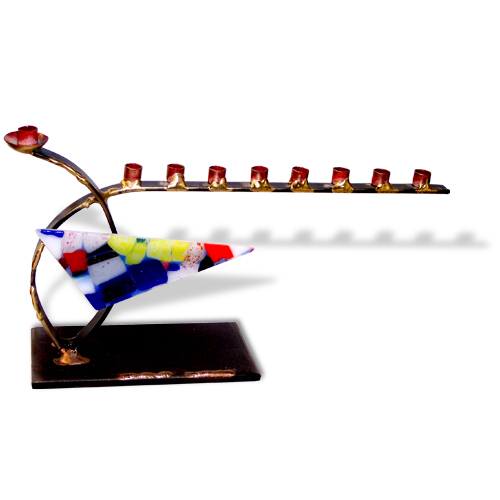 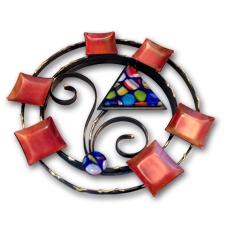 "The Hillel students loved working with Gary on the ark, coming up with the tree of life concept and helping make the colored glass and the metal branches. 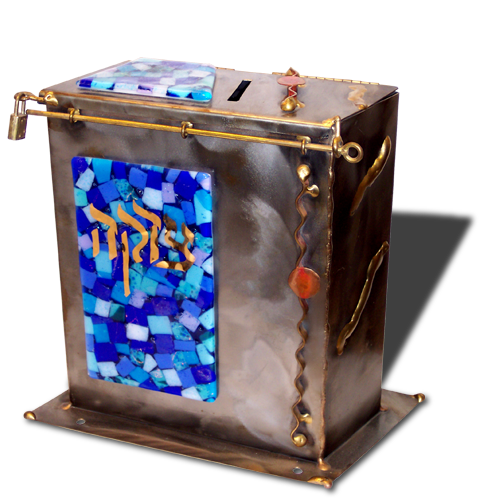 Designing and constructing the ark helped foster their Jewish identity at college in an exciting and unforgettable way."